Algaculture is a form of aquaculture that involves the farming of species of algae. Directory 2018-2019, reflects the rapid pace at which the industry has progressed. Dizzying? Perhaps. But the directory is fairly easy to digest, not only for industry experts and tycoons but also for owners of newer and smaller agribusinesses. Even those who are still cutting their teeth on the industry can gain useful knowhow and resources from it. The directory, which was first published in 1984, is in its 16th edition. Lee Loy Fatt, managing director of Agribusiness Publishing Sdn Bhd, says it contains accurate and up-to-date data on the production and market trend of each major agricultural commodity and sub-sector. “It also includes a comprehensive listing of the latest major products and services available in the market, as well as a directory of who’s who in agriculture-related organisations in the government, education, associations and societies. All these make the directory a must-have reference tome for those involved or interested in Malaysian agriculture and agribusinesses,” he adds. There are 10 sections in the directory that they are divided into 35 chapters spread over 445 pages. Companies can find sources of agribusiness financing and opportunities in the sector in the first section, which offers an overview of the industry and includes coverage of the Ministry of Agriculture and Agro-based Industry. The second section analyses the latest global scenario, planted areas in Malaysia as well as the production, export markets, price trends and market outlook for various commodities. “The third section provides details of the livestock and fisheries industries while the fourth and fifth cover the major agricultural industries — agricultural chemicals, fertilisers and seeds and planting materials — and the agricultural processing and machinery industries respectively,” says the publisher. A fairly recent addition, it adds, is the sixth section, which provides information on green technology and the Malaysian biotechnology industry. The seventh section highlights new and major products and services available in the local market. The last three sections provide the latest information on agri-related organisations, a list of companies providing various products and services and the contact details of estates and palm oil mills in Malaysia. Green technology is expected to be an emerging driver of economic growth, according to an article in the directory. 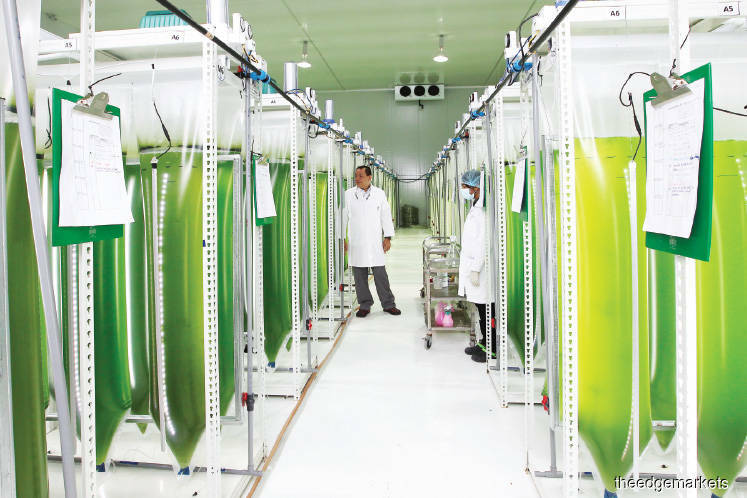 By 2020, green tech should contribute RM22.4 billion to Malaysia’s GDP and generate nearly 145,000 jobs. Green tech includes products, equipment and systems that reduce the negative impact of human activities on the environment. Apart from minimising environmental degradation, conserving the use of energy and natural resources as well as emitting little to no greenhouse gases, it must also promote a healthy and improved environment for all forms of life and promote the use of renewable resources. “‘Green growth’ will be how Malaysia sees the role of natural resources and the environment in its socio-economic development, protecting both development gains and biodiversity at the same time,” says the directory. In Chapter 21, it analyses four categories of green tech — green growing systems, water and waste management, biomass utilisation and renewable energy. The last two, however, are covered more extensively than the first two. It suggests a variety of uses for biomass, including as a growing medium, processed to extract fibres for various products, as well as for conversion into paper, wood, biocomposites, animal feed and biochemicals. The directory also zeros in on bio-energy, which essentially derives renewable energy from biological sources such as biomass. It details the processes of converting fresh fruit bunches and empty fruit bunches into bioenergy products such as bio-oil (a liquid fuel substitute in engines) and pellets (also known as briquettes). What’s more, it features other renewable energy sources in the agricultural industry such as biogas and biofuels as well as an exciting new source — algaculture. Algaculture is a form of aquaculture that involves the farming of species of algae. The majority of algae that are intentionally cultivated fall into the category of microalgae (phytoplankton, microphytes or planktonic algae). The directory also highlights organisations that are involved in promoting or developing green tech in the country, as well as available green financing schemes. The Malaysia Agribusiness Directory 2018-2019 is available at all major bookshops.